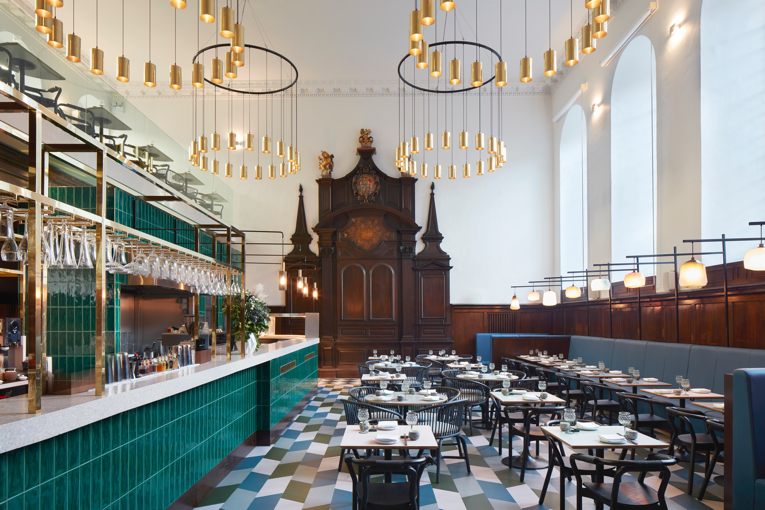 having won over the hearts of hong kong's most discerning foodies with their two michelin-starred dining concept duddell's, founders and influential jia group honchos alan lo, paulo pong and yenn wong have now shifted their focus to london's buzzing culinary scene. 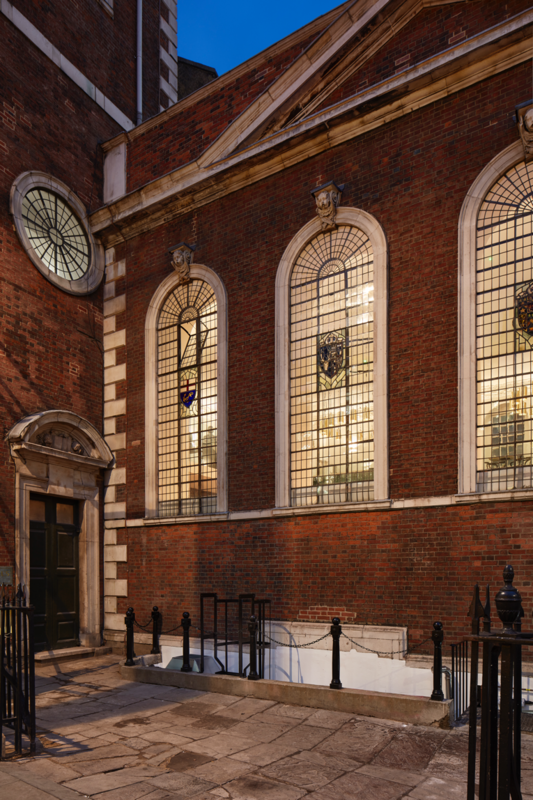 aiming to serve a similar demographic as back home, a unique location has been secured on the premises of the historic st. thomas church in southwark, one of the finest examples of queen anne-style architecture in the british capital. 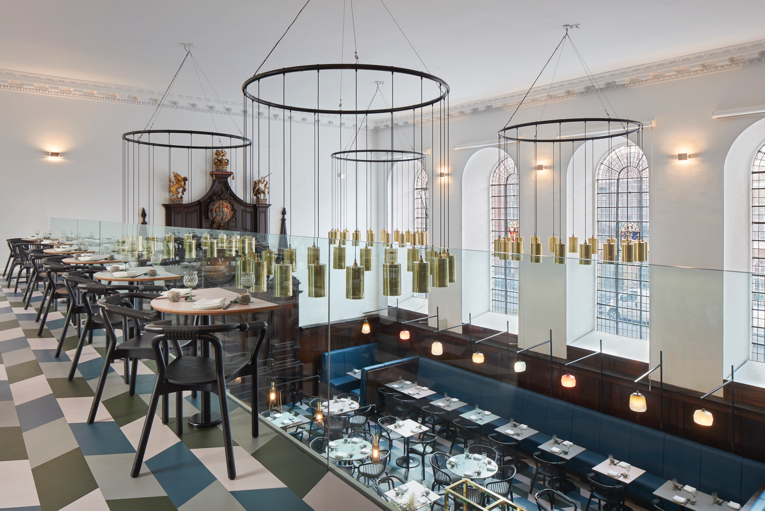 the restaurant is set across two foors and features an interior design by british architecture and design practice michaelis boyd. inspired by hong kong in tthe 1960s, the aesthetic effortlessly blends colours and patterns into a retro style with a distinct contemporary feel, and incorporates many of the building's original elements. 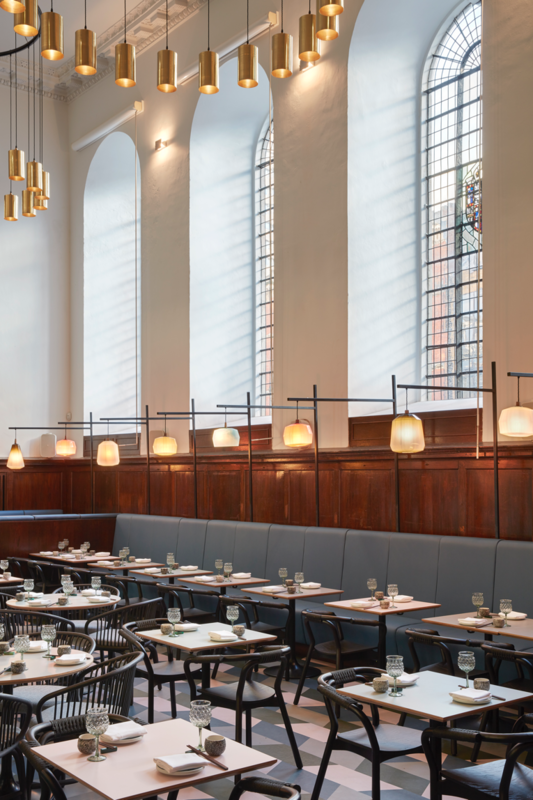 the ground floor has retained the original dark timber church altar, while the mezzanine level, which wraps around two sides of the restaurant, allows views through a clear glass balustrade across the lofty eight-metre high space and open kitchen. an open dim sum kitchen, centred around a free-standing volume clad in shiny green tiles, the forms the focal point. 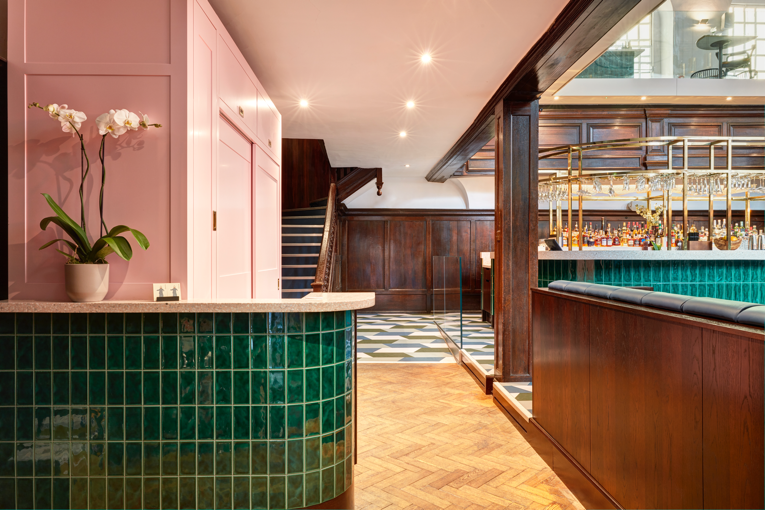 a work top of pink terrazzo with white chips provides a cheeky contrast, and the infusion of colour is further backed up by the shiny brass of the bar's decorative shelving and bespoke light fixtures, and the many hues of the geometric floor design. when gazing upwards, guests will undoubtedly marvel at two sizeable modern chandeliers that dangle from the ceiling. furnishings comprise of a deep blue leather banquette, an l-shaped sofa in a similar colour, ottomans clad in luxurious mohair velvet, and a mixture of black rattan and timber chairs and tables with colourful laminate tabletops. duddell's kitchen is helmed by chef daren liew who 20 years of experience in chinese cuisine under his belt at top restaurants across the planet. 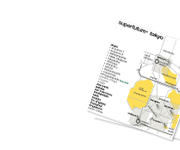 here in london, he serves a rotating menu of cantonese dishes that, similarly to the redesigned premises, fuse traditional flavours with modern touches that'll excite even the most jaded of palates. location: 9a st. thomas street [southwark].